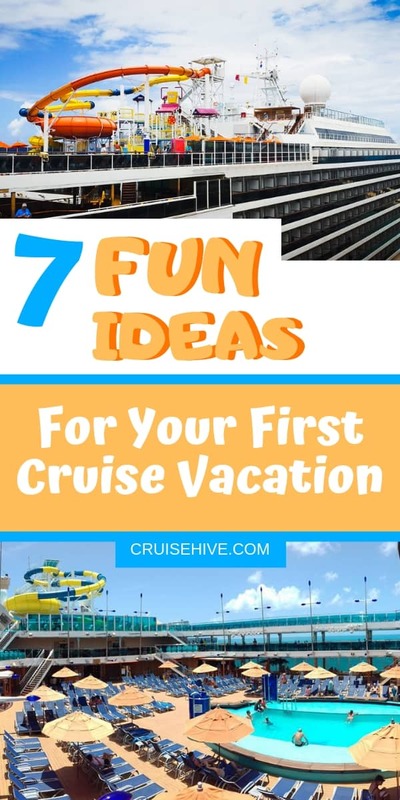 7 fun ideas for cruising like a pro on your first cruise vacation. Cruise tips to help first-time cruisers to make life onboard even more fun. With literally hundreds of cruises to choose from throughout the year, why not celebrate a birthday at sea?! Book far enough ahead and enjoy deep price discounts. Many cruise lines, such as Carnival, will bring a special cake and sing to you at dinner. My first birthday cruise was a surprise dimming of the lights in the dining room followed by a line of singing hospitality servers carrying baked Alaska with sparklers on top! It was a big deal at the time, and a nice memory today. Other lines like Princess will help you make a custom celebration package for the special birthday person. Royal Caribbean offers different birthday packages with cake, champagne and even stateroom decorations. Also, be sure to remind the Cruise Director (or Assistant C.D.) that you’ll be turning over the calendar while on board. A little planning ahead will make sparkling memories for the birthday guy or gal. Cruise ship food is second to none. You will never be hungry and have every imaginable food group to graze upon. The fun idea for eating local applies to the times when you are on shore excursions. Dodge the ‘known’ restaurant chains – they have those in your hometown. Instead, ask a local where they eat! I learned this trick many years ago from a wise world traveler, and have used it on every vacation since. If you want to know where THE best local food can be found, ask someone who lives there. The housekeeper at the hotel, the bellman at the door, the sales associate at the shop all know and are generally very happy to share the information. Eating local adds another layer of experience to your first cruise vacation. My wise world traveling mentor also advised me to take a bit of time before leaving on vacation to learn a few words in the local language. When I was younger, this seemed a bit silly. Now, however, I realize that mastering just the simple phrases of ‘hello,’ ‘please,’ and ‘thank you’ greatly increases the immersion experience. You have made a connection with another human being, in another country, in another language, across cultures. There’s something deeply meaningful about this simple exercise – and I highly recommend it, particularly since this is so easily accomplished online. There will be thousands of other cruisers on the ship with you. While a great opportunity to make new friends, this can also mean standing in lines while you practice your patience. So the fun idea for finding a bit of privacy is to stay on board for several hours after the ship docks in a port of call. Everyone is eager to run ashore. You can be the one who stays behind. Slowly but surely the ship will feel ‘empty.’ You can wander about, take photos, and listen to the seagulls in private. While loads of fun await in the theaters, casinos and other entertainment venues on board, spend at least one night on deck after dark. What is there to do? Look up, and look down. You’ve never seen so many stars in one piece of sky as when you look up from the deck of a cruise ship! So what is there to see when you look down? Magic – or it will feel that way the first time you see the ocean glowing. Depending on where you are in the world, the movement of the ship causes bioluminescent organisms to literally glow. It will look like your ship is sailing on a cloud of light! This can be seen in the cold waters of Alaskan and Canadian cruises as well as in some tropical locations such as Jamaica and Puerto Rico. Check with your chosen cruise line to see if they offer onboard communication apps for your phone. This will allow you to conveniently message, text and chat with others in your group. It may also be an option to make dining reservations as well as book shore excursions with the app. The downloads are free, and some cruise lines charge a flat fee for use. Norwegian Cruise Lines was one of the first to offer an onboard communications app. Currently, Disney, Carnival, Princess, Royal Caribbean and a few others also have some form of this service for their passengers. Finally, consider a day without digital on your maiden cruise vacation. Since it’s the first time you are seeing, hearing, smelling, tasting and touching life on a cruise ship, try it without electronics. 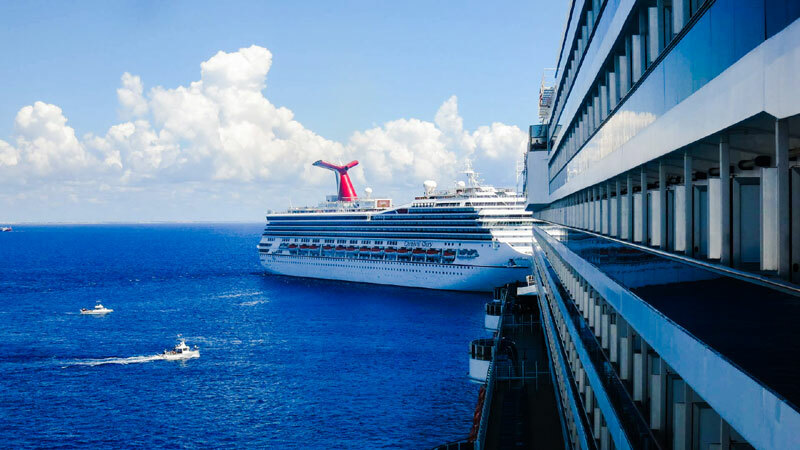 You might even find that these can be a distraction for the finer points of what make up a memorable life experience on your first cruise ship. These ideas are insider hints to add even more fun to your adventures on the high seas. Be sure to stay tuned for more upcoming articles specifically written to help first-time cruisers.